Whatsapp ke latest beta version me ab kei new update aa rahe hai. Pahle whatsapp ne video calling ka feature launch kiya tha. 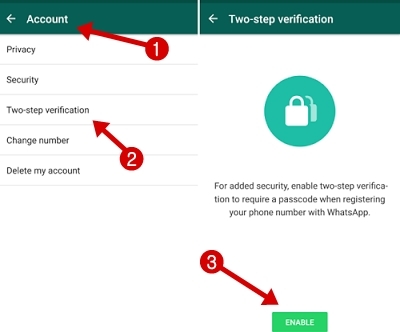 Ab whatsapp ki security badhane ke liye ek new optional feature release kyia gaya hai hai jisse aap gmail ke 2 step verification ki tarah whatsapp par bhi two step verification enable kar apna account secure kar sakte ho. Iski help se aapka account pahle se jayda secure ho jayega. Two-step verification enable karne ke bad aapko six-digit passcode verify karna hoga. 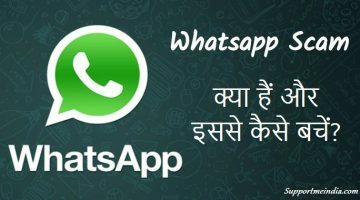 Pahle whatsapp data chori hone ka dar bana rahta tha or koi bhi aapki personal photos, messages ko dekh sakta tha. Magar ab two step verification ke bad koi bhi hacker aapke whatsapp account ke sath chedkhani nahi kar sakta. Aapko 2 step verification enable karne par apna email address bhi add karna hai jisse aap 6 digit wale password ko bhool bhi jao to email se password reset kar sako. Yaad rahe agar aap email address add nahi karoge to password forgot hone par aap apna account recover nahi kar paoge so main aapko specially suggest karunga ki gmail ID add karna na bhoole. Desktop me whatsapp chalane ke liye ye post padhe, Computer Me Whatsapp Kaise Chalaye (Use) Kare. Abhi ye sirf whatsapp beta version par available hai. Iske liye aapke phone me whatsapp beta version install hona chahiye. Sabpse pahle aap apne mobile me whatsapp app open kare. Ab whatsapp settings me jaye or account par click kare. Yaha par aapko Two-step verification likha hua dikhayi dega. Is par click kare. Ab Enable par click kare. Enable par click karte hi aapse mobile number manga jayega apna mobile number add kare. Ab aapke number par ek 6 digit ka passcode aayega wo add kar confirm kare. Iske bad 2 step verification actibe ho jayega but abhi aapko apna email add karke confirm or karna hai. Email address add akre or confirm kare. Finally, Done par click kare. Ab next time jab bhi aap whatsapp par register karoge ya kisi or mobile me whatsapp use karoge to aapko 2 step verification sith digit OTP password secret code confirm karna hoga. 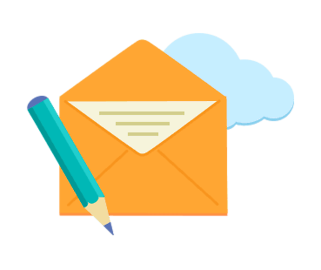 Apna email address jarur add kare ye account recover karne me help karta hai or agar aapko koi disable two-step verification ka mail mile to usme diye link par click na kare. 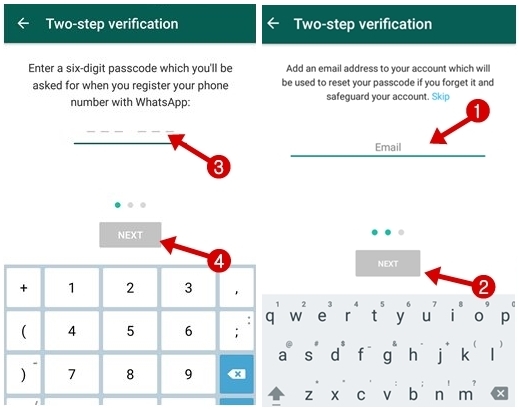 Agar aap ek bar whatsapp two step verification feature ko enable kar loge to yaad rahe aapke 2 step verification ko disable karne ke bad 7 din tak re-enable nahi kar sakoge or agar aapneemail address add nahi kiya or password bhool gaye to aapka 7 day tak account restore nahi hoga. 7 day ke bad bhi aap mobile number se password reset karoge to aapko old data nahi milega. Yani aapko old whatsapp dta lost ho jayega. Sath hi agar aap password forgot hone par last 30 day tak account verify nahi karte ho to aapko account delete kar diya jayega. So apna password yaad rakhna ab most importnat hai. Aapna passcode secure rakhe or soch samajh kar password add kare. 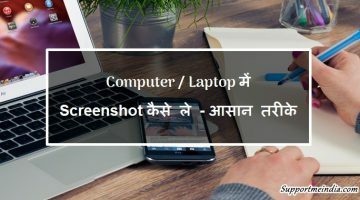 Password yaad rakhne ki jankari ke liye ye post padhe, Strong Password Kaise Banaye, Majbut Password Banane Ki 8 Best Tips. 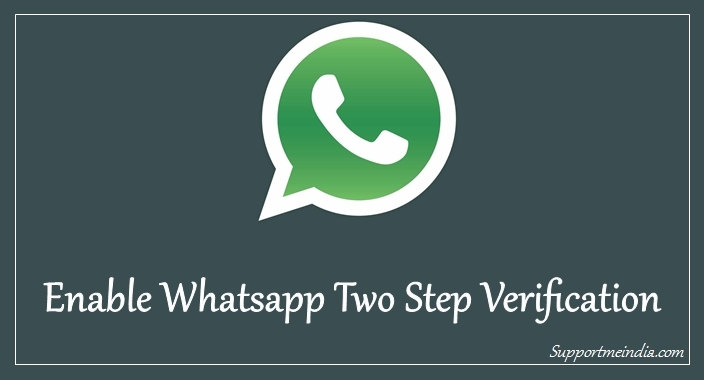 Whatsapp 3 step verification ki adhik jankari ke liye aap Two step verification whatsapp new feature official page par visit kar sakte hai. Yaha par aapko iski complete information mil jayegi. Aap blog ki theme . template change karo. Bro istock photography m member name add karne ke liye bol rha h or pic bhi upload nhi Ho rhi h.
Ye sab new domain ke wajha sai huva sir aap ek br pls meri web PR visit kro pls or iska solution btao..
old domain ko new domain par redirect karo uske bad error nahi aayega or jab koi old domain ki post ko open karega to new domain ki post open hogi. Bhai Maine Apni Website Me AdSense Site Se Ads Laga Liye Hai. But Ads Show Nhi Ho RHA hai. Aur Mera AdSense Account Bhi Approval hai. Adsense approved hone ke bad google team aapke blog ka reveiw karegi tab tak aap blgo me ad code laga kar rakho review complete hone ke bad ad show hone lag jayenge. Aap responsive size ka ads use karo. wo automatically mobile, tablet, computer sabhi me fit show hota hai. 2. main jab apni site ka naam likhkar search karta hu to 2 page par likha aata hai ki aapko sabse ache pariram dikhane ke liye kuch pariram mita diye gaye hai or robot.txt ki wagah se iss site ke pariram uplabhdh nahi hai. 3. jume deen sir maine aapko 2 days pahle apni guest post me link change karne ke liye email send kiya tha please us email ko dekhe or guest post ka link change kare. 4. maine hosted AdSense ko non hosted me upgrade karne ke liye apply kiya tha lekin abhi 10 days ho gaye hai or abhi tak AdSense ka koi approved or disapporved ka mail nahi aya hai lagbhag kitna time lagta hai hosted AdSense ko non hosted me change hone me. 1. search console me new domain ka sitemap add karo kuch day me aapki new post index ho jayegi. 2. aapko jab tak robots.txt ki achi jankari nahi ho jati iska istemal kat karo. 3. maine sham ko mail check karunga aapka link change ho jayega. 4. ab tak ho jana chahiye tha aap fir se try karo. Hello….sir, meri paytm wallet me Rs. 1 lakh show kar raha hai fir 500 show hoti hai fir kabhi 1000 kal raat se aisi problem ho rahi hai maine paytm ke cyber expert ko screenshot send kar chuki but ab tak koi reply nahi mila can you tell me ye third party crimnal activities ho sakti hai ya paytm ki problem hai. Dono ho sakti hai. aap iske bare me paytm team se hi contact kar sakti ho. Difficult site navigation: During our review of your website, we found your site difficult to navigate. Potential navigation issues include: redirects, pages behind a login or restricted access, broken links, excessive pop-ups, dialers, and pages under construction or not yet launched. Blog ke nigation menu me aapne link add nahi kiye hai wo add karo or blog ke footer me jaruri pages ke link add karo. gmail.com pa jao or forgot passwordd par click karo yaha feadback ka opion mil jayega. Aap ne apni site se Footer aur home page article ki images kyo remove kar di hai sir? Ya mere browser me show nahi ho rahi hai? Site speed up ke liye maine design change kiya hai or bhi bahut kuch change hua hai. Nice article hai sir keyword search karne ki sabse best tool kon si hai. Semrush and google planner tool. Aapki theme me koi footer ko disable karne ka feature ho to use enable karo check karo ki aapne footer me widget add ki hai or CSS coding se footer ko hide to nahi kar rakha. 1.- Jumedeen ji maine blog bana to liya hai per uski marketing karne me problem ho rahi hai. maine apki marketing vali bhi post padhi hai lekin Facebook groups se kuch benefit nahi ho raha hai. mera job vacancy se related blog hai. 2.- Ya to meri post ko facebook group admin approve nahi karte. 3.- ya fir log jyada responce nahi karte. 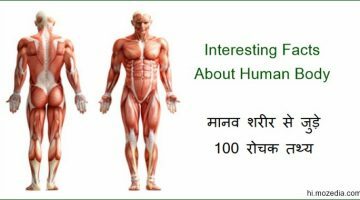 5.- Jaisa ki ham sochte hai ki 10 hajar member vale FB group join kar le to hamari post 10 hajar logo tak pahuch jayegi, Ye bilkul galat hai 10 hajar me se 2 – 3 log hi website par ate hai. Apne blog se related groups me share karo. Right social media par user time pas or fake news ko jyada responsive dete hai. Ye us group ke active and user engagement par depend karta hai. Aap sirf apni post se related groups me hi post share karo.